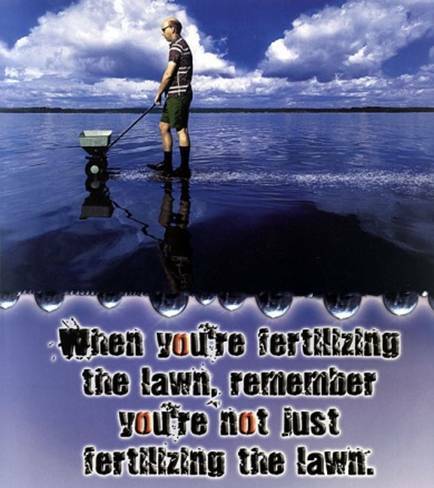 Stormwater Information for Residents - "You Can Make a Difference"
Although individual homes might contribute only minor amounts of nonpoint source pollution, the combined effect of an entire neighborhood, let alone a city, can have serious consequences. You can help reduce the amount of pollutants that enter local waterways by following a few simple measures. The City of Mishawaka, in conjunction with St. Joseph County, operates a household hazardous waste disposal center facility located at 1105 E. Fifth St. It is open from 8:30 a.m. to 3:30 p.m., Tuesday through Saturday and is open to all St. Joseph County residents. For more information, contact the Mishawaka Street Department at 574.258.1660 or e-mail street@mishawakacity.com. Never dump anything down storm drains! Follow manufacturer’s direction when using chemicals and apply only the recommended amount. 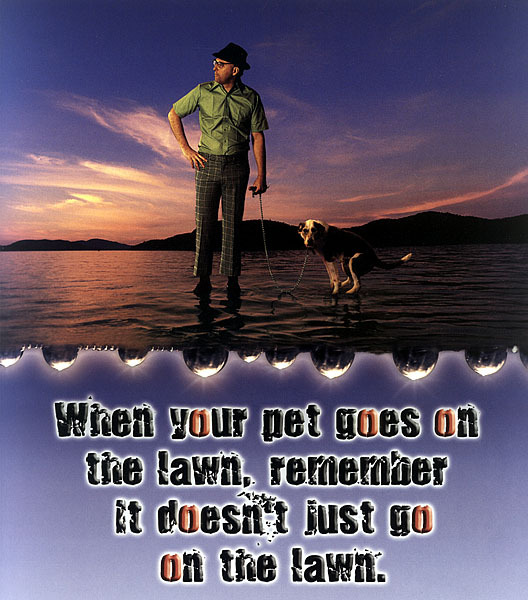 Don't spread chemicals on your lawn if a storm or heavy rain is in the forecast. Landscaping with disease and pest-resistant plants can reduce the need for pesticides and fertilizers. Altering the natural contours of your yard during landscaping, and planting nonnative plants that need fertilizer and extra water can increase the potential for runoff and soil erosion. Grasses and natural groundcover can be attractive and practical substitutes for nonporous surfaces. Incorporating natural grasses, trees, wooden decks, crushed stone or brick paths, rain gardens and mulch into landscaping reduces runoff and prevents erosion by allowing rainwater to slowly seep into the ground. Additionally, don't rake leaves, grass clippings or litter into streets where they can enter storm drains or be washed into waterways. Have your vehicle serviced regularly to prevent problems that lead to leakage. Clean up any spilled brake fluid, oil, grease and antifreeze from garages, driveways and streets. 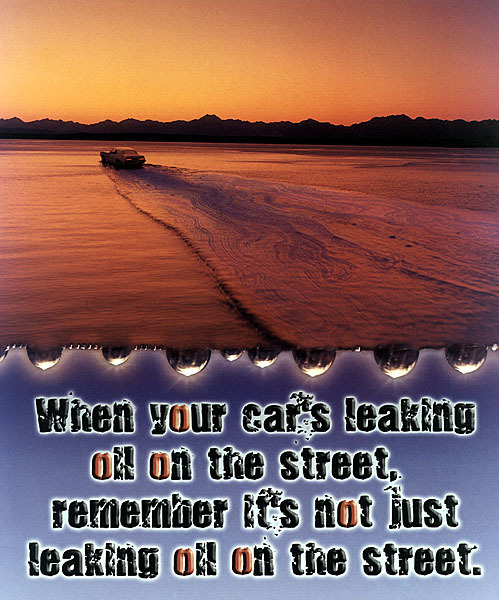 Do not hose these fluids or any cleanup residue into the street. If you change your own oil, be careful to avoid spills and collect waste oil for recycling. Take your vehicle to a car wash to prevent soaps and waxes from being washed into the storm drain. Car washes send dirty water to the wastewater treatment plant. 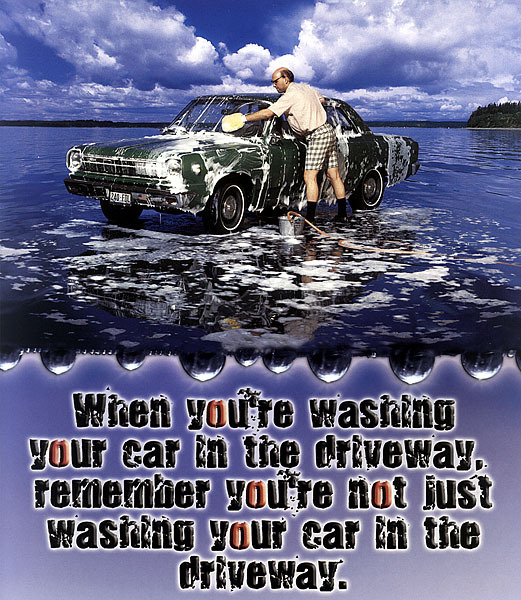 If you wash your vehicle at home, wash it on the lawn, not the driveway. Below you will find the "Proper Refueling" YouTube video sponsored by the Indiana Association for Floodplain and Stormwater Management (INAFSM) and other various groups. The video is designed to highlight the proper techniques for refueling vehicles and portable containers while reducing the potential for fuel to reach the storm sewer. Proper clean up and disposal methods are also outlined.. Please take a moment to watch the video and learn to do the right things to help protect our environment, especially focusing on ways to keep our waterways clean.